The 14th annual One Book, One Community campaign is quickly approaching. Emily St. John Mandel visits Waterloo Region to introduce readers to her National Book Award and PEN/Faulkner Award nominated Station Eleven. She arrives September 22 and remains through September 24, participating in a whirlwind of public readings. I had the honour of conducting public interviews in the City of Waterloo as part of the community reading campaign on eight occasions, thanks to Betty Keller who oversaw the city’s cultural programming. My first interview was in 2003 with Jane Urquhart, a writer I know personally along with her husband, artist Tony Urquhart. The others writers I interviewed included, in chronological order: Nino Ricci, Robert Sawyer, Joseph Boyden, Elizabeth Ruth, Lawrence Hill, Terry Fallis and Louise Penny. 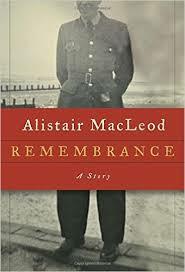 One Book, One Community also introduced me to one of my favourite authors, the late Alistair MacLeod. I remember exactly where I purchased his debut story collection The Lost Salt Gift of Blood in 1976 in my hometown of London, Ontario. The book was followed in 1986 by the publication of As Birds Bring Forth the Sun. 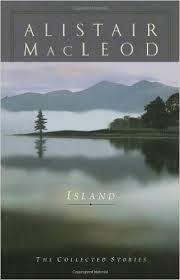 Compiled in 2000 as Island, MacLeod’s short stories are his crowning achievement. They are comparable to Alice Munro’s and Mavis Gallant’s as the best stories ever written by a Canadian, which puts them in the highest rank of stories written in English — any time, any place. I tell friends who resist short stories to read MacLeod as linked stories that paint a composite community portrait of a particular place at a particular time. Whether considered as separate collections or as one unified collection in two volumes, MacLeod’s stories are Canada’s answer to Sherwood Anderson’s Winesburg Ohio or Anton Chekhov’s stories. MacLeod’s oeuvre includes To Every Thing There is a Season: A Cape Breton Christmas Story, published 2004, and Remembrance, a story published posthumously in book form in 2014. In 2006 David Young (author of Glenn, a play about Glenn Gould) published a stage adaptation of No Great Mischief. So far the most comprehensive study of the writer is Alistair MacLeod: Essays on His Works, edited by Irene Guilford (Guerica Writers Series, 2001). My most cherished memory at the Eden Mills Writers’ Festival was when MacLeod read a chillingly haunting passage from the manuscript of No Great Mischief. It had rained that year and it was uncharacteristically cool, so the readings were transferred to the Camp Edgewood Conference Centre. It was magical. I met MacLeod on two occasions. The first was in 2001 when I interviewed him for a profile for the Waterloo Region Record when he was the initial guest author of One Book, One Community. We hit it off. I remember him telling my managing editor that he felt he was in good hands during the interview. I was grateful for his trust. The second occasion was at a luncheon of Canadian and Chinese writers organized by the Confucius Centre at Renison University College. Judith Miller, a retired English professor who helped organize the event, paired me with MacLeod and a couple of Chinese writers (with a translator) who wrote about mining. Of course, mining is central to No Great Mischief and my paternal grandfather left the coal mines of Scotland for the promise of a better life in Canada. His experience was so horrendous that he never talked about it or returned to his homeland. I remember Miller observing after the luncheon that MacLeod and I acted as ‘a ballast’ for the luncheon. Sometimes an artist comes along in the nick of time. Alistair MacLeod was such an artist, which made his visit to the region as its first community reading author not only welcome but auspicious. 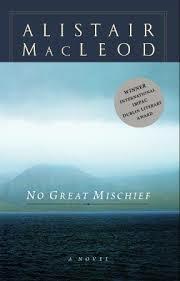 MacLeod’s sad, beautiful novel No Great Mischief pays homage to Cape Breton Island — the land of his people and his spiritual home until his passing at the age of 77 on April 20, 2014. The blood of Cape Breton pulsed through his veins and flowed from his pencil in the rhythm of his prose, embodying the ebb and flow of Eastern tides and cycle of the four seasons, not to mention the persistence and endurance of human lives from cradle to grave. MacLeod’s Cape Breton was vanishing in his lifetime — perhaps it had already vanished. The fisheries and the mines were exhausted, fewer people farmed — bittersweet remnants of dignified labour and honourable lives. Islanders left their homes in large numbers, especially the young, following a pattern of reluctant exile dating back to the 18th century when Scottish forebears were forced from their native sod, never to return and forever lamenting their loss. As such, No Great Mischief is a novel of memory, of remembrance. Its narrator, Alexander MacDonald, is a modern bard who accepts the sacred trust of passing on the story of his people — orally as well as through written words— a postmodern clash of past and present, while anticipating the future. Many people believe community is founded on shared history. In fact, community is founded — and sustained — on shared story, passed down through the generations, resounding with the conviction of myth and the obligation of truth. Just as importantly, No Great Mischief is a novel about Canada. Perhaps it’s the long-awaited Great Canadian Novel for which this country has yearned. Or, better still, an important place name on the ever-expanding map of Canadian literature. It tells the story of Canada, but not conventionally interpreted as a clash of two solitudes, French and English, first given expression in an earlier novel by Hugh MacLennan, another Canadian writer of Scottish ancestry. For MacLeod the two solitudes are French and Scottish. Canada’s great, late literary critic Northrop Frye observed that the Enlightenment didn’t shape Canada, as it did the United States. He was mistaken. Canada was moulded in the 19th century by Scottish thinkers — teachers, preachers and politicians, as well as scientists, bankers and industrialists — steeped in the ideas of the 18th-century Scottish Enlightenment centred in Edinburgh. If you think this is far-fetched, ponder the narrator’s name: Alexander MacDonald, which matches that of Canada’s first prime minister, John Alexander Macdonald. His given name also recalls no fewer than three Alexander MacKenzies: one an explorer, one a railroad magnate and one Canada’s second prime minister — proud Scotsmen all. The novel straddles Canada, from Cape Breton, through Ontario, to Calgary, where Alexander’s sister lives. When she returns to Scotland she is recognized as a daughter. Misguided people, some of whom should know better, carp about English Canada’s lack of identity and succumb to the anxiety of cultural deficiency. These people should read or, if necessary, re-read No Great Mischief, which begins as a tragic tale of blood-ties, but flows outward to embrace families beyond the clan. This is nation-building at its most elemental, transcending race, creed and religion and giving cause for both celebration and lament. The latter is reflected in Lament For A Nation by the late George Grant, a Canadian philosopher of Scottish ancestry. The voice of Alexander MacDonald is the voice of Cape Breton, the voice of Canada. Gaelic speakers and traditional musicians are significant cultural torchbearers in MacLeod’s fictional world because they carry forward the stories of their people, the dreams of their people, the myths of their people. A few years ago, the language and the music of Cape Breton was hanging precipitously on the lip of being lost and forgotten. But because of artists, what was once headed toward extinction is likely to survive — at least for now. We remember Callum, the strongest and proudest of the MacDonald clan, because of Alexander, who looks over his once mighty, then disgraced, now dead brother — an embodiment of the fallen heroes whose lineage extends back to the Plains of Abraham, to Glencoe and Culloden and even further to the ancient mists of myth and legend. No Great Mischief is many things: a love letter, a hymn, a testimonial, a prayer, a lament for what might have been and never was; for what might be and never will. It’s also a spiritual biography of a disenfranchised people, forever in exile, yearning for the home that is no more. A promise and a regret, adrift on the shifting winds of time. The fact that readers could buy No Great Mischief in three languages in Finland — in Finnish, Swedish and English — didn’t faze MacLeod when I interviewed him for the first time in September 2002. Ditto for the four honorary degrees he had received earlier that spring. 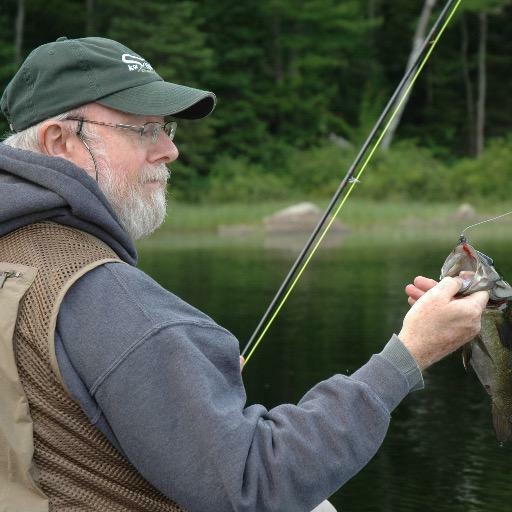 He still looked more like the fishermen, miners, loggers or farmers he wrote about than a literary celebrity, the first Canadian to win the International IMPACT Dublin Literary Award. Sitting in a Waterloo restaurant at the outset of three days of readings and discussions about his celebrated 1999 novel, the retired University of Windsor English professor was calm and unassuming. He arrived on time, right to the minute, carrying a tired leather satchel and wearing an open-necked sports shirt under a light windbreaker. 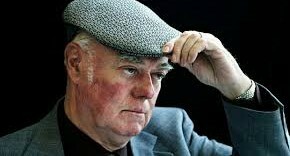 His signature woollen tweed cap, which he didn’t remove, was tilted ever so slightly to one side, offering a hint of rakishness. My Scottish grandfather wore his cap with the same slant. MacLeod talked as one imagines he wrote — slowly and deliberately. His humour was self-deprecating, punctuated by a twinkle in his eye, moistened one imagines, with an occasional dram of malt whisky. We started our discussion of No Great Mischief with a consideration of its dedication, which encapsulates the novel’s themes of loss and memory by acknowledging his wife, Anita, and seven children, including ‘our lost son Donald. We had a son by that name who died by crib death,’ he confided. Although he was born in 1936 in North Battleford, Saskatchewan, MacLeod’s family moved back to Cape Breton when he was a youngster. He remained there until he went off to university, including a doctorate at Notre Dame in Indiana. And, while he lived in Ontario for most of his adulthood, Cape Breton remained bred in his bones. He wrote most of his fiction in ‘a little cabin’ when he returned home during the summer. It was a finale fit for one of Canada’s best-loved writers when more than 500 people sat on folding chairs in the arena of the Waterloo Recreational Centre — how wonderfully Canadian — listening to MacLeod read three passages from No Great Mischief during the region’s inaugural One Book, One Community campaign. In truth, MacLeod seemed fatigued, but still game. No wonder, after three days and nights of public readings across the region in schools and libraries, not to mention question-and-answer sessions, book-signings, interviews, lunches and suppers. Still he held enthralled the audience of children, teenagers, mothers with babes-in-arm, fathers and grandparents. Among the crowd were physicians, aspiring writers, playwrights and fellow university professors, in addition to people from all walks of life, some of whom MacLeod recognized as following him from event to event — literary groupies captivated by the wonder that is No Great Mischief. Some, like Jenny Wood and her husband Brian, travelled vast distances, underscoring the idea of community being not only local, but universal. Although they didn’t come from Australia specifically for the communal reading campaign, fate put them in the right place at the right time. ‘My great-grandmother, who left the Outer Hebrides in 1852, was a MacDonald and my grandmother married a MacLeod,’ Jenny Wood noted. Both she and her husband had read the novel, as well as MacLeod’s glorious short stories. ‘I love the picture the novel paints of Scottish people fanning out in all directions all over the globe,’ she said. The Woods, who were house-swapping with a Waterloo couple, joined members of the MacDonald clan (encompassing the McDonalds, MacLeods and McLeods) at an earlier reception. All of the two dozen clan members, young and old alike, confirmed they had the novel. One of the appeals of No Great Mischief is the way readers respond with such immediacy and intensity. Just ask Tricia Simpson (nee McGowan) of Waterloo. ’I’m devastated two of the narrator’s brothers are not named,’ she pleaded. ‘They are the lost boys. I want to know those boys. I want to care for those boys. I feel bereft.’ A local ceilidh band provided music, playing a selection of Scottish, East Coast and French-Canadian tunes including Niel Gow’s Lament, referred to in No Great Mischief at the wake of the red-haired Alexander MacDonald. When MacLeod died, Canada lost one of its most celebrated fiction writers. His last published story, Remembrance, reminds us of his greatness, lest we forget his pair of short story volumes, The Lost Salt Gift of Blood and As Birds Bring Forth the Sun, the stories collected as Island and his Cape Breton Christmas story To Everything There Is a Season, not to mention his International IMPAC Dublin Literary Award-winning No Great Mischief, one of Canada’s great novels. MacLeod was commissioned to write the story to commemorate the 25th anniversary of the Vancouver Writers Fest. It was initially released as a limited edition chapbook in 2012 and appeared as an ebook a year later. Thankfully, we now have the story in book form. At a mere 47 pages in length, it reaffirms that good things do, indeed, come in small packages. As usual, the story is set in Cape Breton. While short in length, it spans four generations, encompasses more than half a century and bridges Canada with Italy and Holland. The four generations of men, all named David MacDonald, are shaped by the Second World War in which the grandfather served. ‘Some of us were saved by actions, and some by accident,’ the great-grandson speculates. MacLeod was not prolific. He was famously meticulous when it came to his writing. Less was always more. Remembrance is a powerful reminder of the loss his passing represents to Canadian literature. His like will not pass this way again. When we bow our heads in silence at the eleventh hour, of the eleventh day, of the eleventh month, we should remember not only those who sacrificed themselves in the name of peace and freedom, but the artists who remind us through words, music, image and performance of that supreme sacrifice.